3 bedroom home with 2 car garage close to Noyes and Bartlett Park. You will enjoy the outdoor area just off the kitchen, it is great for entertaining or just relaxing. Paved alley access to 2 car garage. Newer HVAC and main floor laundry. Great price! 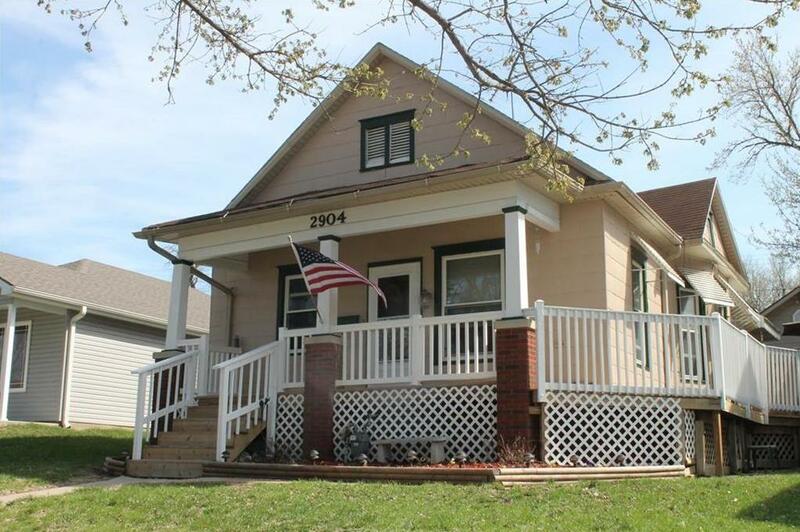 2904 Olive Street (MLS #2157962) is a other single family home located in St Joseph, MO. This single family home is 984 sqft and on a lot of 5,227 sqft (or 0.12 acres) with 3 bedrooms, 1 baths and is 102 years old. This property was listed on 04/10/2019 and has been priced for sale at $92,900. Nearby zip codes are 64501, 64503, 64505, 64506 and 65403.